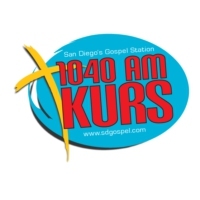 In June this year, the FCC issued a $12,000 monetary forfeiture and short-term renewal for KURS(AM) for failure to prepare issues and program’s lists in the Station’s public file and to file biennial ownership reports. The same station was issued a Notice of Apparent Liability for violating output power limits in June 1999. Jaime Bonilla, associated with Quetzal Bilingual Communications, also owns group Media Sports de Mexico stations XHPRS Tecate (operated by Broadcasting Corporation of America as Max 105.7), XEPE 1700 kHz (also operated by BCA), XESDD 1030 kHz Tijuana, and XESS 620 kHz Rosarito, Mexico. XESDD was noted by local engineers for its dial position only 10 kHz away from co-owned KURS, less than 20 miles away.